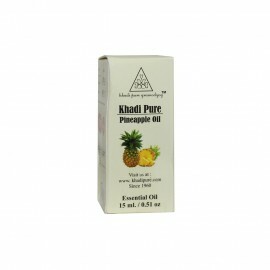 Khadi Pure Gramodyog™ Herbal Pineapple Essential Oil is anti-inflammatory, antiseptic, antiviral, an..
Khadi Pure Gramodyog™ Herbal Peppermint Essential Oil is one of the oldest and most highly-regarded ..
Khadi Pure Gramodyog™ Herbal Rosemary Essential Oil has a pronounced action on the brain and the cen..
Khadi Pure Gramodyog™ Herbal Sandalwood Essential Oil has wonderful quality for relieving both chest.. The smell of a rose is one of those experiences that can ignite fond memories of young love and back.. The cooling and penetrating effects of camphor oil make it an anti-inflammatory and sedative agent. ..
Nirvana Pure JASMINE SAMBAC Absolute Oil 2 mlJasmine Absolute is a dark orange- brown liqui..
Nirvana Pure JASMINE GRANDIFLORUM Absolute Oil 2 mlJasmine Absolute is a dark orange- brown..
Nirvana Pure ROSE DAMASCENA Absolute Oil 2 mlRose Absolute colour depends on the colour of ..
Nirvana Pure TUBEROSE Absolute Oil 2 mlTuberose Absolute is pure undiluted Tuberose Oil. Ou..
Nirvana Pure JASMINE GRANDIFLORUM Absolute Oil 5 mlJasmine Absolute is a dark orange- brown..
Nirvana Pure JASMINE SAMBAC Absolute Oil 5 mlJasmine Absolute is a dark orange- brown liqui..
Nirvana Pure CHAMPAK Absolute Oil 5 mlChampak Absolute is a reddish brown liquid with a swe..
Nirvana Pure ROSE DAMASCENA Absolute Oil 5 mlRose Absolute colour depends on the colour of ..
Nirvana Pure TUBEROSE Absolute Oil 5 mlTuberose Absolute is pure undiluted Tuberose Oil. Ou..
Nirvana Pure ROSE CENTIFOLIA Absolute Oil 2 mlRose Absolute colour depends on the colour of..